Activists and Artists: A COMMUNITY CONVERSATION with environmental activists Joe Barrett and Dean Wallraff and artist / activist Suvan Geer will be held on Sunday, May 17, 2015 at Modest Fly Gallery in Tujunga. Known in both art and environmental circles, Suvan Geer will moderate a participatory conversation on what it takes to sustain practices in art and activism. she will open the discussion with local land activist Joe Barrett and environmental lawyer Dean Wallraff. 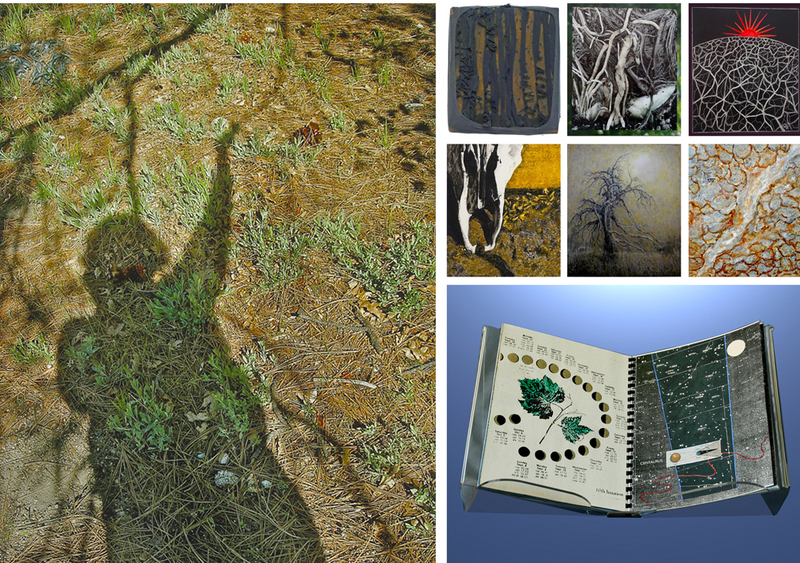 The panel will take place in conjunction with the “Wilderness Mind: Activating Wonder” exhibition that was curated by Marie Cenkner and featured works by 16 members of the SCWCA Eco-Art Collective. Moderator Suvan Geer is an artist and writer who co-chairs the Sierra Club’s local Climate Change Committee. Joe Barrett is a well-known local activist currently working for the preservation of watershed along the base of the Angeles National Forest. Dean Wallraff is on the Sierra Club’s national board and heads a nonprofit developing legal tools for activists and lawyers working to protect the environment. The sixteen women artists assert that an open state of mind or what is often called “wonder” can be experienced in both traditional wilderness areas and in dense urban habitats. Some artworks celebrate the existing beauty and diversity of the planet while others acknowledge how human activity changes and often negatively impacts the environment. The diverse works range from assemblage, photography, hand-made books and paintings as well as a collaborative “Drought” installation that was featured at the 2015 Balance UnBalance International Conference at Arizona State University. Writings and resources that present the multiple concerns of the participating artists are also offered. Curator Marie Cenkner shared that the exhibition is part of an ongoing “Wilderness Mind” initiative by the collective that includes exhibitions, programs and public conversations to foster sustainable stewardship. Participating artists: Carolyn Applegate, Amy Bauer, J. Cheryl Bookout, Marie Cenkner, Danielle Eubank, Ann Isolde, Katherine Kean, J.J. L’Heureux, Nancy Lissaman, Meg Madison, Marion Melchiorre, Sandra Mueller, Annemarie Rawlinson, Seda Saar, Louise Wannier, France White.